BioThrive Sciences has over 20 years of experience manufacturing sports nutrition, dietary supplements, general wellness, anti-aging, and skin care supplements. We produce a wide variety of powders, tablets, and serums. Our state-of-the-art equipment allows for fast production that adheres to the high standards of the Good Manufacturing Practice (GMP). BioThrive Sciences uses the highest quality ingredients for all of our sports nutrition products. Your consumers’ sporting careers, activities, and events are taken seriously at all times. Our sports nutrition products appeal to premier athletes as well as mainstream consumers, complying with FDA regulations at all times. Create your private label performance-driven sports nutrition product with the help of BioThrive Sciences. Consumer awareness of healthy lifestyles is on the rise, and dietary supplements are becoming more and more popular. Buyers everywhere have an increased interest in product safety and control. Big-name brands are declining in popularity as private, small labels are replacing them. BioThrive Sciences follows strict standards of manufacturing quality. General Wellness encompasses all aspects of health including properly functioning immune systems, energy levels, bones, eyes, joints, and organs. BioThrive Sciences is happy to work with clients to formulate unique mixes that complement rising trends in the market of general wellness. Increased media awareness has piqued consumers’ interest in age-related health concerns, including anti-aging products. The constant advances in anti-aging medicine and movements keep products changing continually. Studies show people begin using anti-aging products in their mid-20’s; BioThrive Sciences will work with all of our clients to create labeling that appeals to all anti-aging consumers. BioThrive Sciences has seen that privately labeled skin care products are a favorite among consumers. We produce the finest skin care solutions for brighter, clearer skin for people of all ages. Understanding your market’s needs keeps BioThrive Sciences a premier skin care product manufacturer. 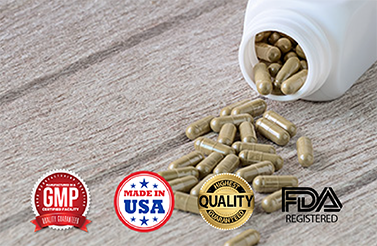 For more information regarding our high-quality products that are FDA-approved, GMP-certified, and quality guaranteed, call +1 (844) 263-3657, or fill out an online contact form. Our highly trained supplement specialists will assist you through the entire process; we are happy to answer any questions.